French Pave - a bold modern look with sleek curves describes the Luseen Collection from Novori. 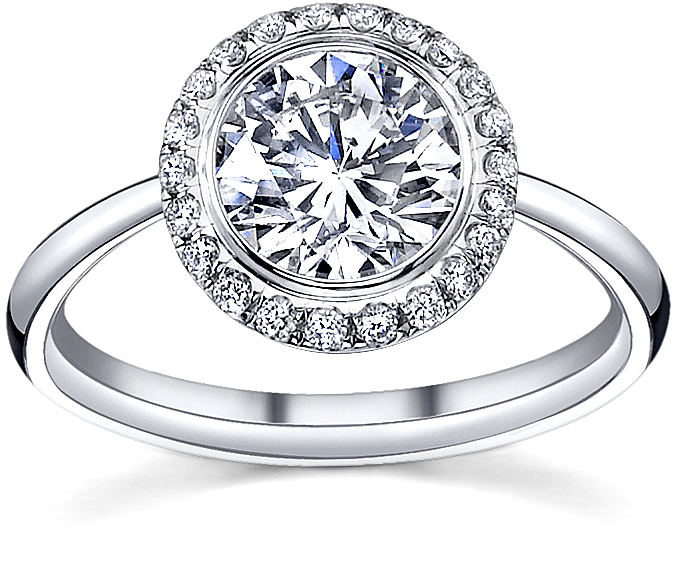 This new line features the elegant beauty of French Pave set diamonds. Unbelievable value with first quality gold and platinum all backed by Novori's lifetime warranty. 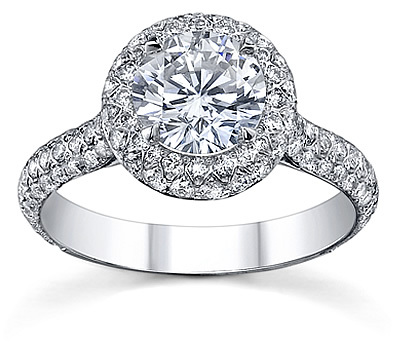 Each french pave ring is a work of art that you will admire for a lifetime. These designer diamond rings feature french pave style, and each diamond is individually 4 prong set for maximum safety and beauty. 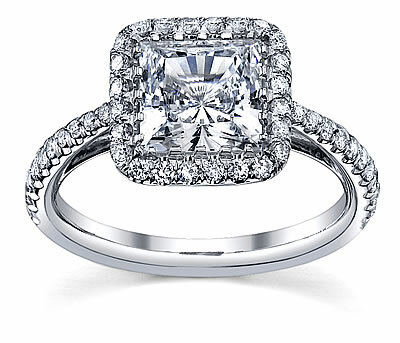 These french pave engagement rings provide elegance and sparkle at exceptional Novori value. 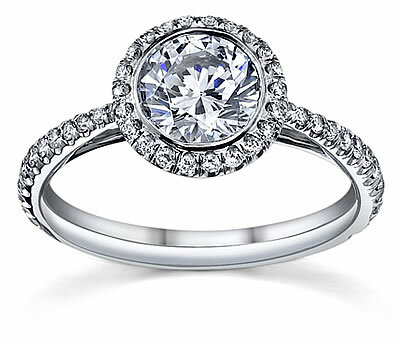 These are truly unique and stunning engagement rings that will take her breath away. 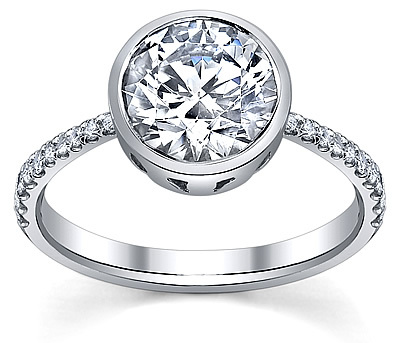 Each ring is uniquely made to the exact measurements of the certified loose diamond you select. 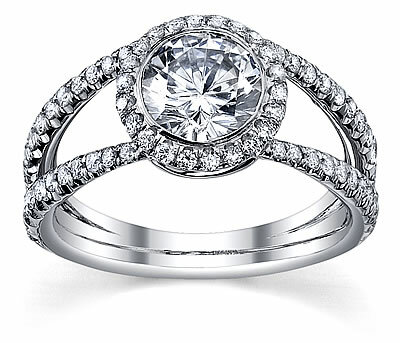 Hand crafted and individually hand set diamonds is what the french pave style is known for. 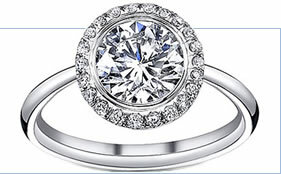 You can select a loose center diamond from our thousands shown online at unbeatable prices. 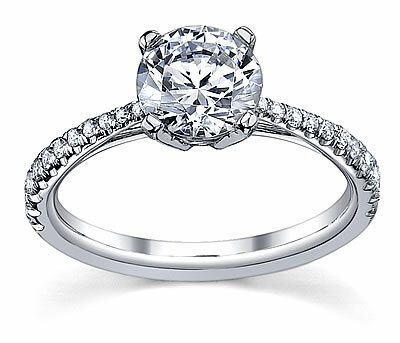 We can help you find the best diamond for quality within your price range - just give our diamond experts a call. French pave or micro pave rings feature small diamonds set close together to give an exciting bold look of sparkling diamonds. 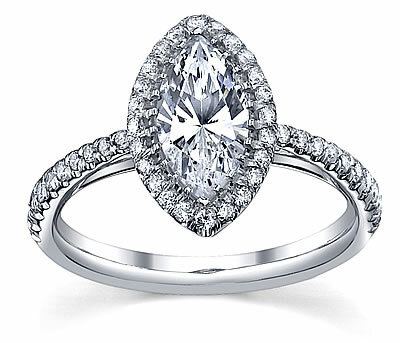 Each individual diamond in a French pave ring is meticulously set with precision to keep the diamond safe and secure. 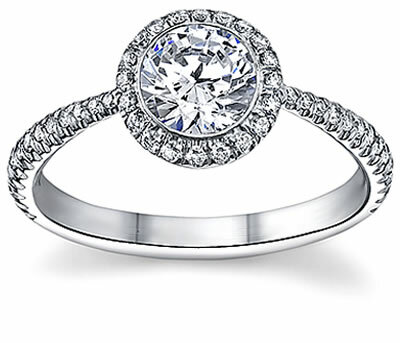 Even earrings can feature the allure of French pave diamonds which will match perfectly to these rings. The Luseen French Pave Rings Collection of distinctive diamond engagement rings is available in 18k white or yellow gold, and platinum. If you prefer 14k gold, please call us for pricing and availability.